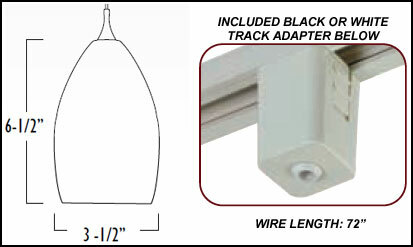 120v Line Voltage Hanging Pendant Light for Track Lighting. Comes included with a 72" field cuttable / adjustable insulated cord with built-in strain relief. Requires one 120v A19 Medium Base (the "standard" light bulb) (bulb not included). You may order this pendant with an energy-saving CFL bulb if you desire (see options above). 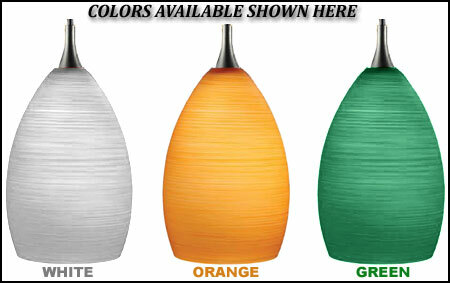 See our bulbs section to order add'l bulbs. UL/CUL Listed.